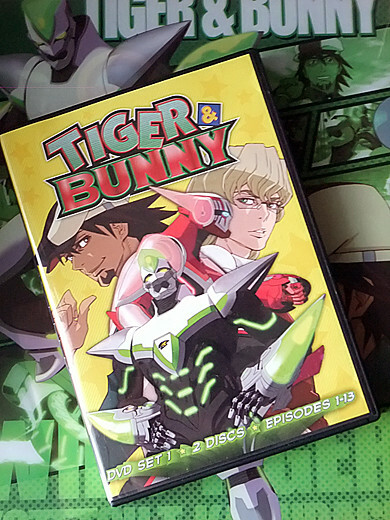 I was so excited when I found Tiger & Bunny DVD vol.1 for US in my post. Waited for a while, because I’d love to learn English from these “showes”. I need to go to NYC on March but my listening/speaking skill is not far enough. I watched this anime’s epsodes again and again, now I remember almost of lines of the characters in Japanese! 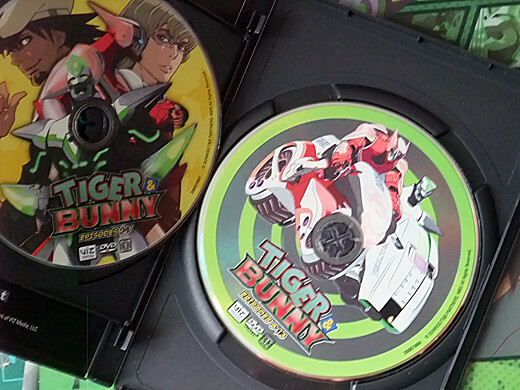 And more, of course this DVD has Japanese version. If when I miss Wild Tiger’s Tokyo-accents, I can easily hear that too. So happy not to borrow that from my nearest DVD-rental-shop again…maybe the shop staff remembers me as crazy fan (yeah it’s true, though).